Chris studies Earth's past and future climate change using both theoretical (climate models) and observational methods. He is particularly interested in what the past can reveal about how the climate system works, and how the modern climate system is changing. A summary of his current research projects can be found on the research page of this website. Chris grew up in the mountains of southwestern Montana, to which he attributes his fascination with the Earth Sciences and ignorance of popular culture. After graduating from Carleton College in Minnesota, he earned a PhD from the Pennsylvania State University. Following a post-doc at the University of Chicago and a stint at the University of Southern California he landed at the University of Michigan in 2003, where he is now a Full Professor. Chris has not forgotten his roots, however, and returns to Big Sky country every summer to teach at UM's Camp Davis near Jackson, Wyoming. 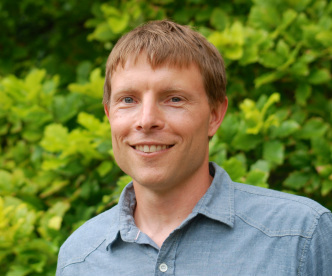 In addition to climate research and teaching, he enjoys spending time with his kids and wife, running, playing tennis, backpacking, fly-fishing, cooking, and just about any outdoor activity.